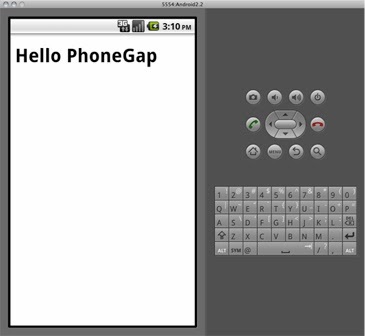 This tutorial might be helpful to all developer who just started the PhoneGap build technologies. 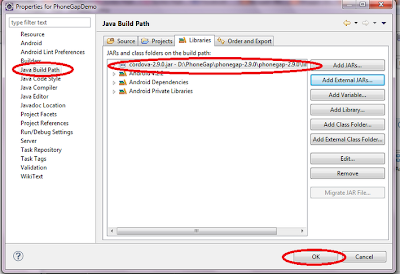 In this tutorial we are going to learn how to configure the PhoneGap with eclipse for android application. 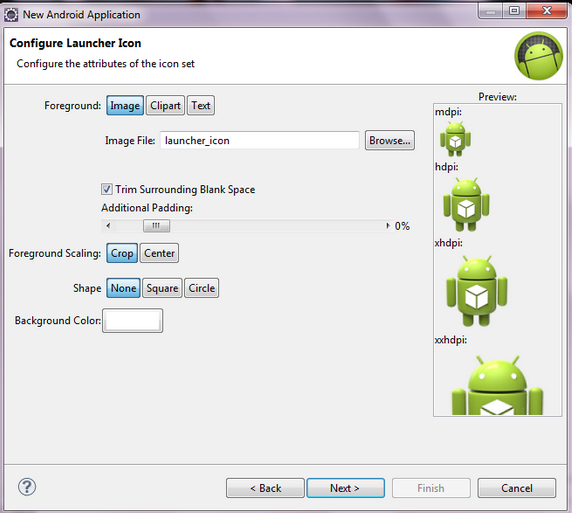 Step -1: You have already android sdk configure with eclipse. 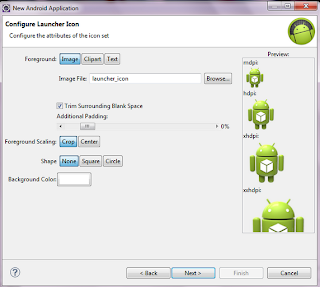 If not have then configure the android sdk or ADT with eclipse. 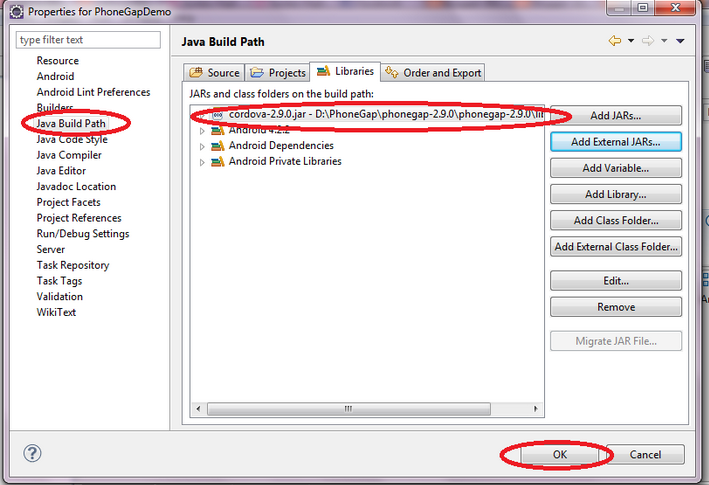 Step-2 : You have to download the new PhoneGap build from Here. Step-3 : Now Extract the rar file of PhoneGap in any of your directory in your computer. 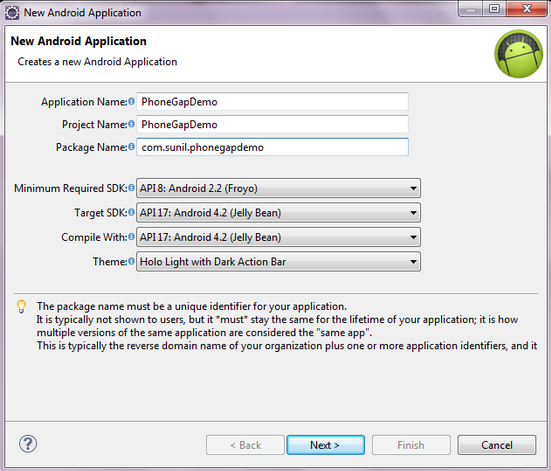 And go to to extract directory of PhoneGap\phonegap-2.9.0\phonegap-2.9.0\lib\android. Here you have all files that are need to configure with eclipse. Step 4. Open Eclipse and create the Android Project name PhoneGapDemo. 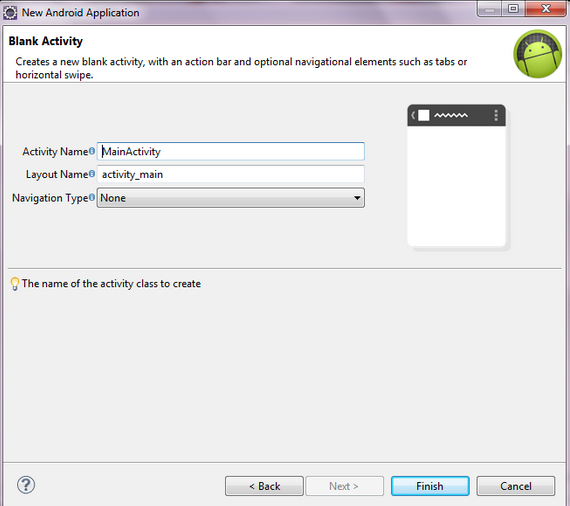 Now the create the folder www name inside the assets folder and copy the cordova.js file inside the www folder. And copy the cordova2.9.0.jar file from the extaxting folder of phonegap and paste inside the libs folder and copy the xml folder of PhoneGap extract directory and paste inside the res folder of you project. See the llok of screen. Step-5: Now create the index.html file inside the www folder. 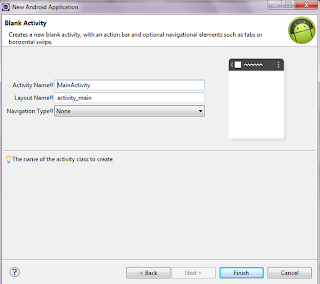 And open the MainActivity.java file and edit Change the base class from Activity to DroidGap. And load the html file like that. 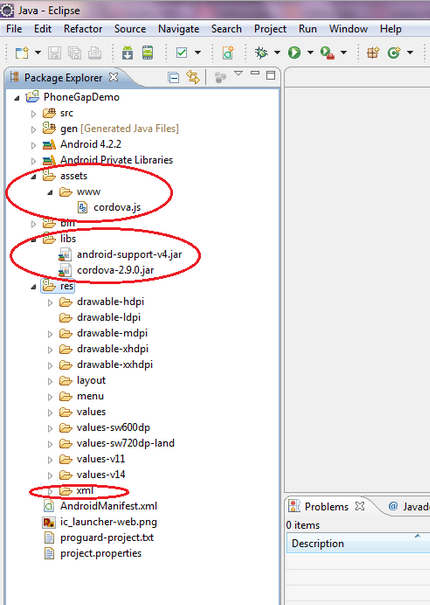 Hi I dont see any cordova-2.9.1.jar after extracting the phonegap 2.9.1 zip file. 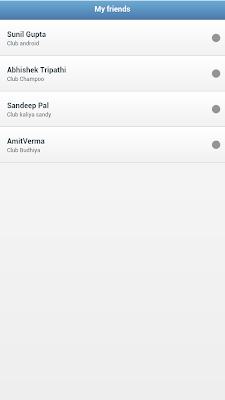 After performing above step, I am able to deploy and run sample app on emulator. 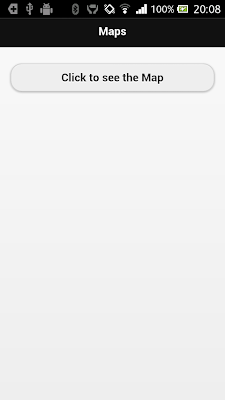 But first it give alert with "Class Not Found". i just started working on it. 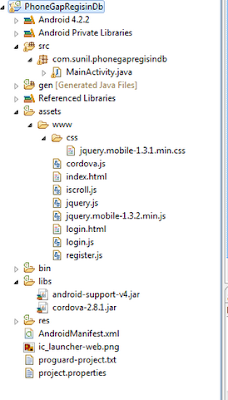 but in just starting i couldn't find the cordova-3.4.0.jar file and .js file. get me out of this trouble.